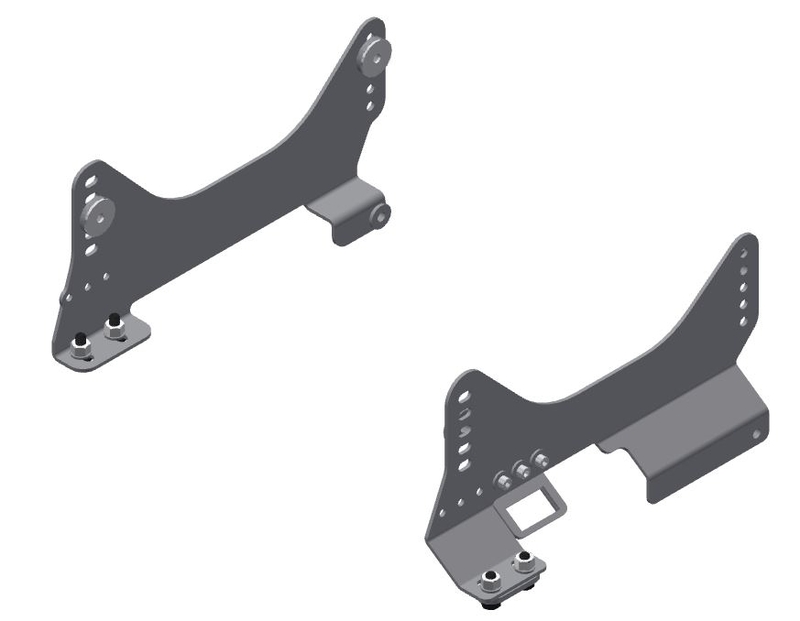 Models: E46, E85, E86, & can be used with E46 sliders in the E36. Miscellaneous: Attaches to the original BMW power or manual slider that came with your car. This is the recommended mount for Recaro SPG XLs and Pole positions. -The R-9220/1/2/3 line of seat mounts is an innovative way to attach aftermarket seats to BMW OEM power or manual sliders. R-9220/1/2/3 side mounts bolt your aftermarket seats directly to the factory slider in the stock location with no additional adapters required. -The R-9220/1/2/3 series side mounts utilize the stock 3-point seat belt receptacle mounting point to properly locate the stock seat belt. Additional harness lap-belts can be added for driver and passenger sides with the R-9225 Clip-in Lap Belt Mounts. If you’re using sedan/wagon e46 sliders, both side lap belts can be bolted in without any additional parts. -Unlike aftermarket sliders, the factory BMW sliders are designed and tested to have the belts mounted above them. This means the belts stay properly located to your seat, regardless of the seating position. -The OE Sliders have significantly more travel than aftermarket sliders—more than double in some cases. This makes the back seat much more accessible. -The R-9220/1/2/3 mounts include provisions to properly locate a R-9228 (driver) or R-9229 (passenger) sub strap mount and/or R-2295 fire extinguisher mount, both of which move with the seats. - Wiring instructions for powered and non-power seats functions are provided with the side mounts. -The R-9280/1/2 line of seat mounts utilizes the factory BMW switch (for those using it with power sliders), creating an OE look for the installation. -If manual BMW sliders are used, the R-9226 (driver) and R-9227 (passenger) slider release handles will replace the slider release built into the stock seats.